I found this quite a straightforward section and whizzed through it quite quickly. I am trying to repeat some of the fabrics from earlier sections and as ever I try just to concentrate on the block I am doing at any one time whilst keeping an eye on the bigger picture from time to time. For the clam shells, I used a mix of freezer paper/starch and tip of an iron to turn over the raw edges- double layer freezer is even better- just iron another layer on top of the paper so that there is still a waxy side underneath and paper side facing you - and Mary Dugan's method of layering and hand sewing the clam shells to a base. I did stubble a little keeping them aligned. Having pencil lines on the back of the base of the actual size of the finished section helped. I am now prepping for parts 5 and 6 and the finish line is in sight. 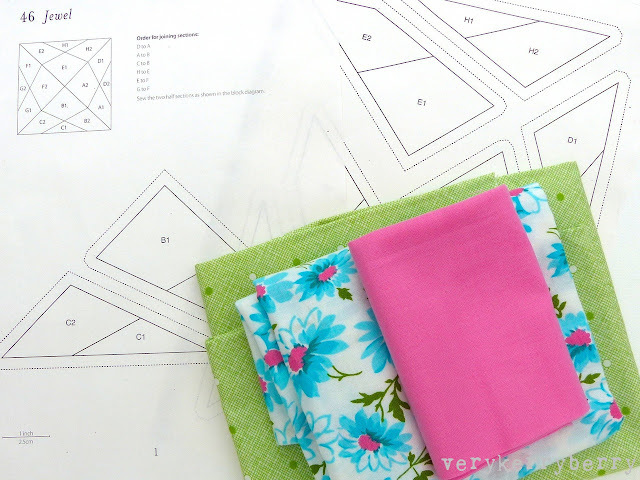 Katy Cameron has some excellent ideas on how to deal with the green section in part 5 and save a bit of fabric! It's final week of the Fat Quarter Shop Little Joys quilt along, the 'Present' or 'Season of Giving' block. and I managed to get my sashing done and plan exactly how to finish this project off. The finishing instructions are here. I am going to make the quilt top into a fabric cloth for work. I run music classes for children from 0-4 years and come December, I will be well into my Christmas themed classes and there is much covering up/revealing of items so this project will be perfect for that. The green and white print (top left) is the backing and I will sew the top and backing together- maybe just using the grid formed by the sashing, just enough stitching to hold the layers. 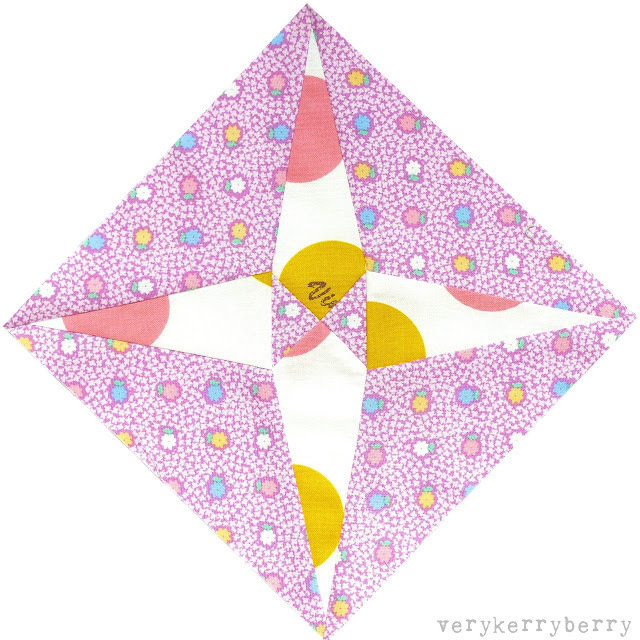 The I plan to make prairie points for the edge in the red dotty print: Penny has a great tutorial on this. I also wanted to bring in pink print that I wanted to show more of so this will form a binding strip between the prairie points and the cream fabric- I also plan on rounding the corners. This video shows the effect I am hoping for. Thank you to Daniar, Kimberly and the other staff at The Fat Quarter Shop for providing me with a kit and for offering a rather charming and quick to make pattern, designed by Elea Lutz who also designed the cute prints. I now have to get this done, just so I can feel extraordinarily well prepared for December! 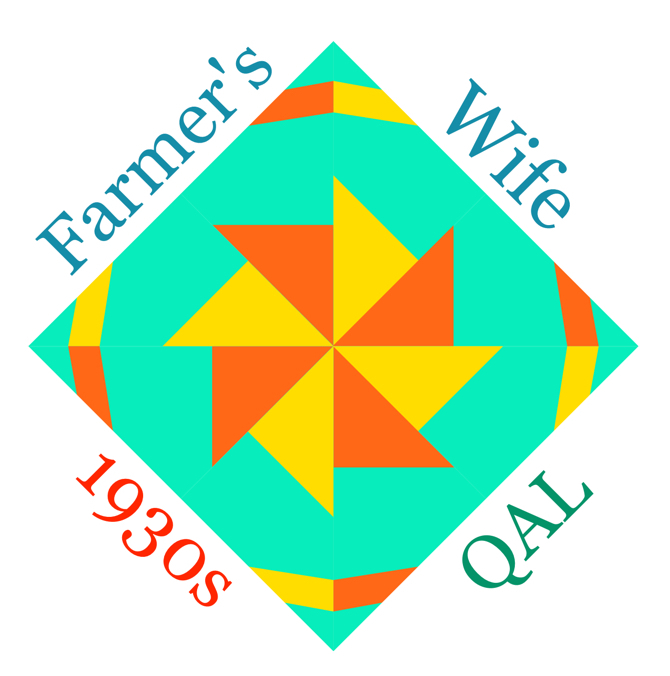 The Farmer's Wife 1930s Quilt-Along is on! 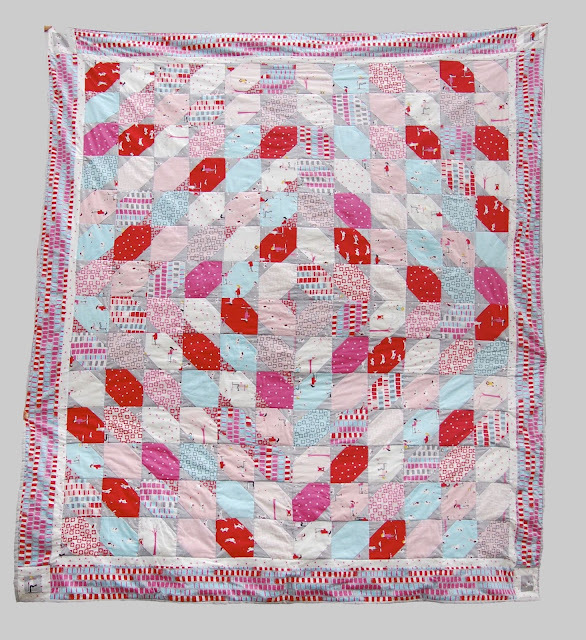 After some discussion and some very supportive emails, I have decided to go ahead with The Farmer's Wife Quilt-along. It will be run in a similar spirit to the My Small World QAL, community based, no sponsors but with weekly posts and guest blogger. There will of course be lots of action on Instagram, hashtag #fw1930sqal. I've allocated a page here to act as anchor and I'll be blogging every Monday from September for around a year along with a guest blogger hopefully each week so that the pace will be two blocks per week working numerically through the blocks. 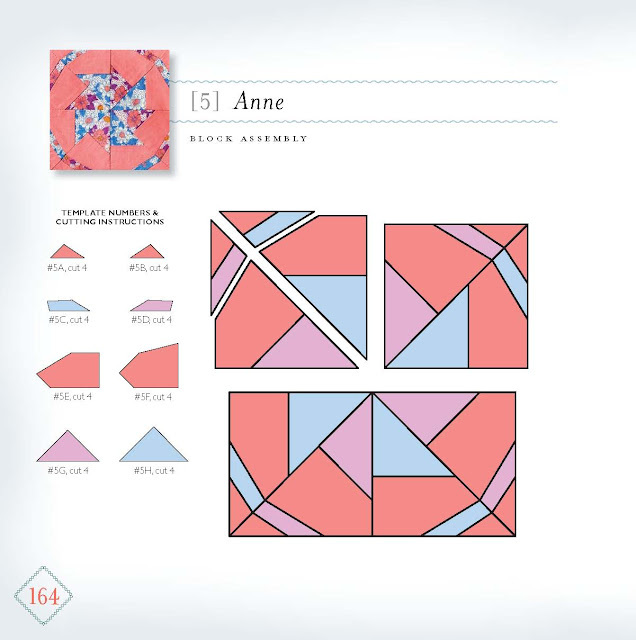 For the blog button, I chose a block from the book called 'Anne.' I liked the block but I liked the letter even more. The writer, Ruth, quotes Malcom J McLeod who wrote 'The Culture of Simplicity' and the words resonated with me. I am not religious, 'prayer' translates to 'hope' for me but as a maxim for life, these words are hard to beat. The button in available couple of sizes and you are welcome to grab the larger image above too. Here is the 200px size. To use, copy the html code in the grey box and paste into the gadget option on your blog - chose the html gadget option. 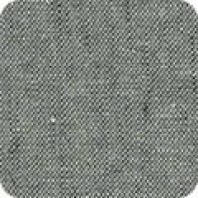 This will give you a picture that when clicked, links to the quilt along page. This is the 125 px size. You can find the images on Flickr too: 400px, 200px and 125 px. 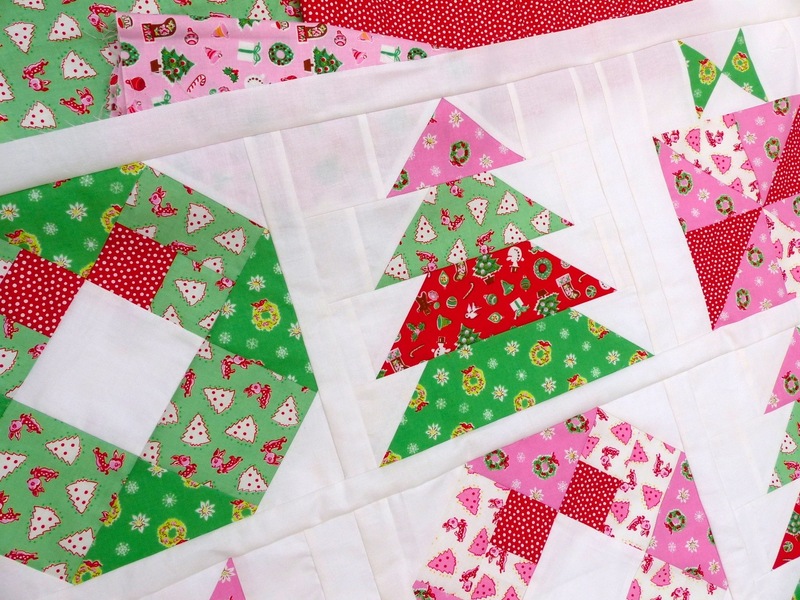 As mentioned in my review of Laurie's book, there is another sew-along being organised by Gnome Angel (Angie) Marti Mitchell and The Fat Quarter Shop, plus 25 blogger contributors. This is not an either/or situation, you can take part in one, the other or both. Angie will be announcing hers formally on 3rd August. My plan is for this quilt-along to grow organically. I already have some guest bloggers lined up and I am contacting all who have been in touch so far. If you are interested, drop me a line- my email is in the right menu bar and I'll send you the info! I am feeling much happier now I know I am going ahead with my original plan! Care to join me? You'll need a copy of the book- it should look like this. It was released in June 2015.
and some fabric- I'm guessing you've got the last one licked already! 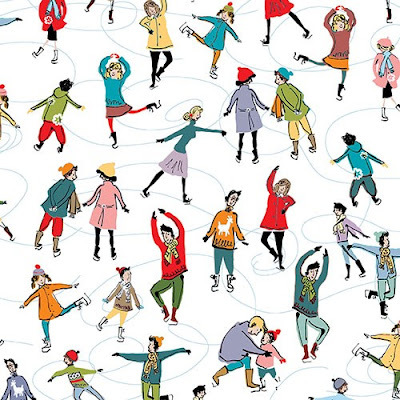 Skater's in White from Makower's Christmas Wonderland 2015. You can find all the prints here , there is a bundle option here and at £2.75/FQ, they are great value too. Halloween fabric seems to be very popular with tween/teenagers ( judging from my personal experience) and I think you can easily get away with making an Autumn quilt and use Halloween fabrics and get months of use out of it before it gets stored in the summer - we have a Christmas quilt in use all year round! 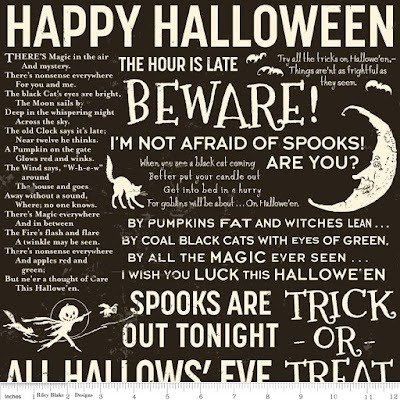 This vintage signage style fabric, Witch Spell Black has a great drama to it. 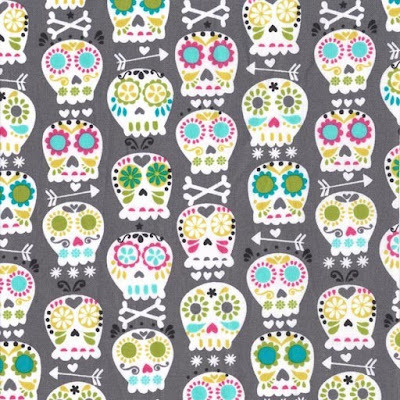 I also like this Michael Miller Bone Head Gray Day of the Dead theme print, great for tween/teens and also available in an icy blue colourway. 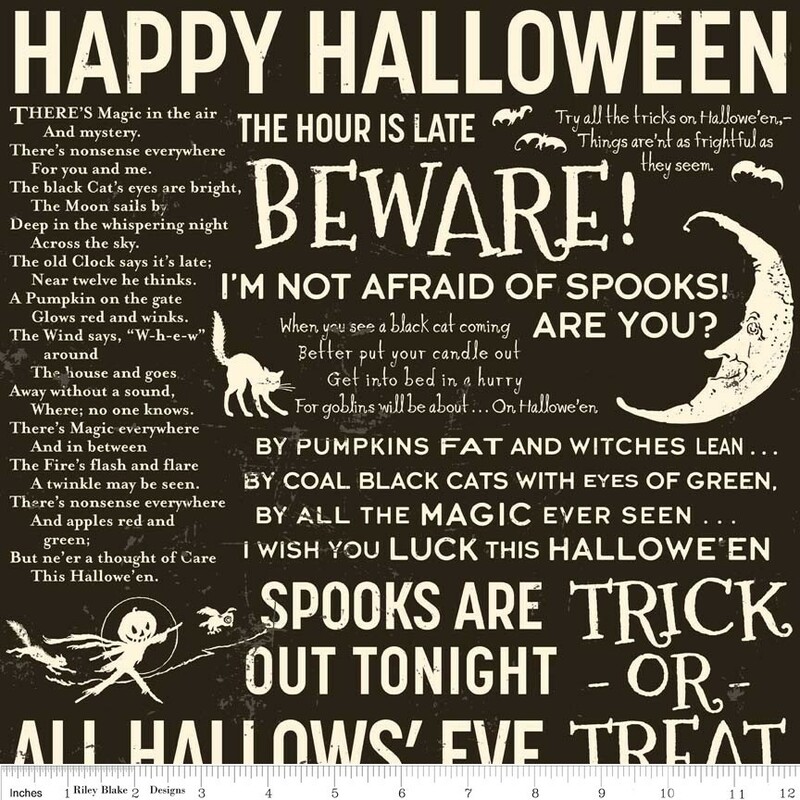 There are some more cutesy Halloween collections like Halloween Magic which has softer colours and some glow in the dark prints but I love the impact of these darker prints! Away from the seasonal collections, there are some new Michael Miller arrivals that caught my eye. 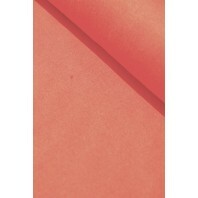 First is Melodies which has a tutti fruiti colour palette and some very usable prints. 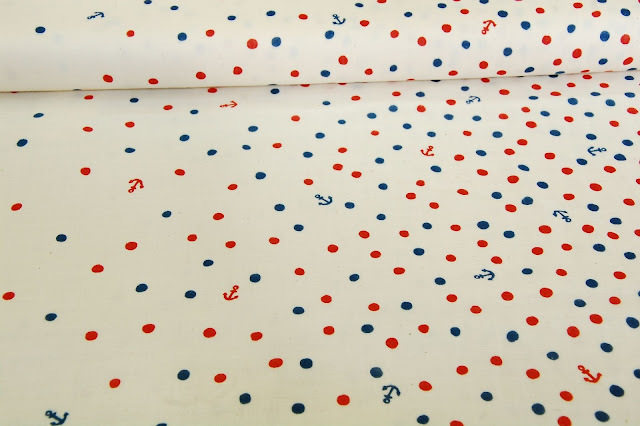 The Double Dot print is a perfect quiet print which packs a lot of colour. L to r: Starfruit, Orchid, and Apricot. 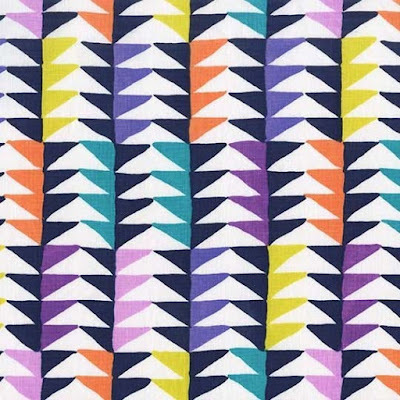 For me, the stand out feature from this fabric group is Triangles in Jewel. The designer of this collection is Sarah Campbell and she has years of impressive design experience to draw upon. This is an immensely happy and joyful set of fabrics. Seedling is a bold collection of prints from Michael Miller, reminiscent of woodcuts. 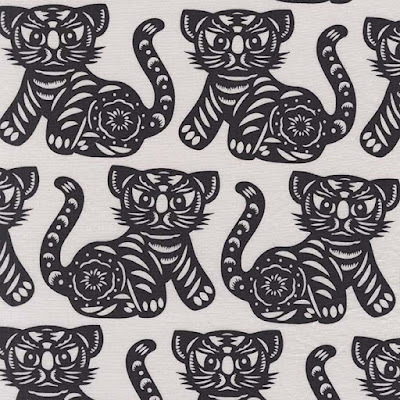 The most obvious to plump for is the Growl and Chirp prints. Thomas Paul designed this collection and you can see his experience in interior fabrics coming through in these prints and the rich colour palette. Let's have a quick look at the sale bargains whilst they are still around- offer ends midnight 29th July! 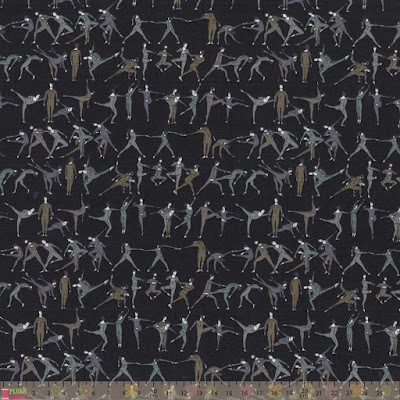 I found some Liberty Lawn on offer, Gymnasts print in black, £11.20/metre is an unmissable offer! 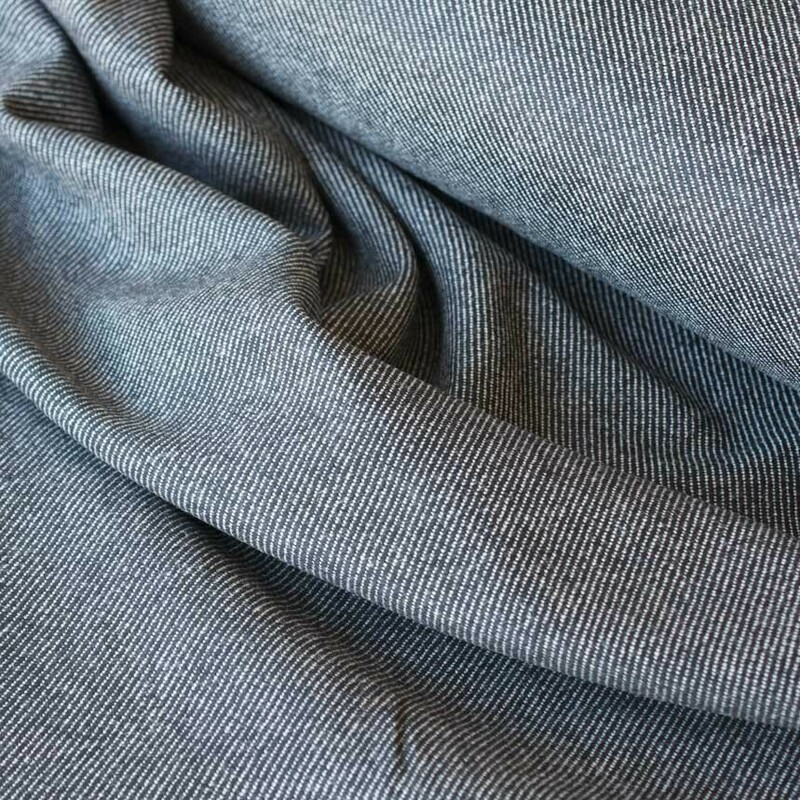 I also spotted a classic Woollen blend coating with diagonal twill very classy! 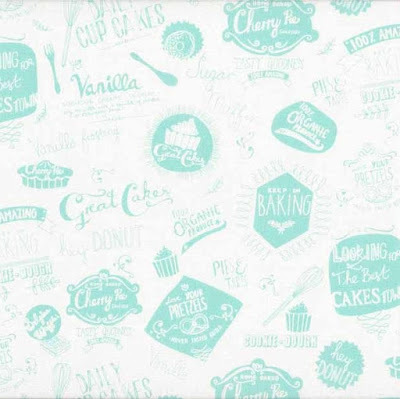 And in the quilting cotton, this Mako Retro Bake text print is rather lovely- nice backing fabric for kitchen makes. Also available in pink. If you want to find a bargain, get rummaging before the deadline, Wed 29th July midnight! 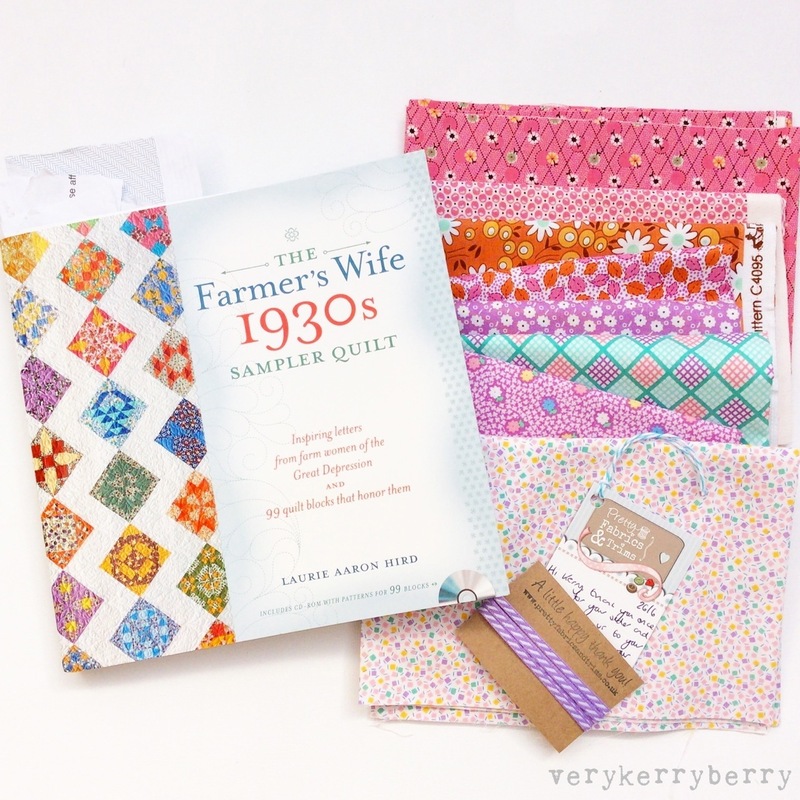 Do you remember the Farmer's Wife Sampler book of a few year's back? It was one of the first online quilt-alongs that I took part in and it certainly introduced me to the delights of a sampler quilt block and the beauty of traditional quilt blocks. 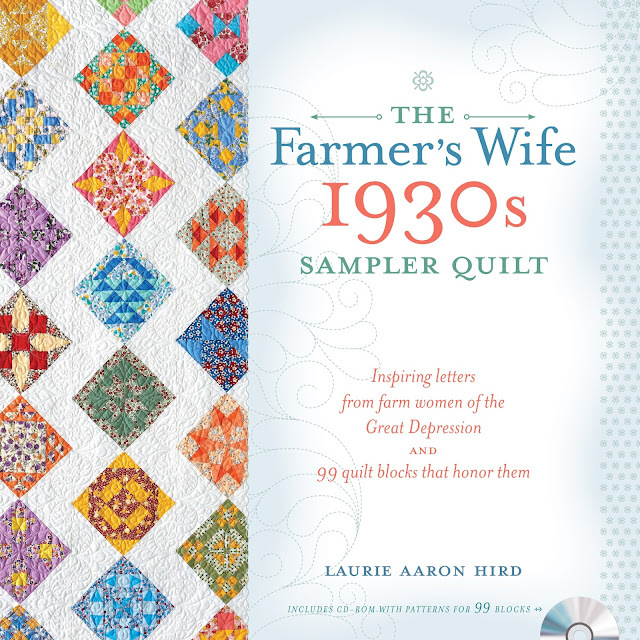 when I heard that Laurie Aaron Hird had written a 1930s version, The Farmer's Wide 1930s Sampler Quilt with 99 blocks not included in her previous books, I leapt at the chance to review it. I liked the original Farmer's Wife book but I love this version. Each traditional block has been renamed as either a woman's name or a noun that relates to a woman- like 'Granny'. 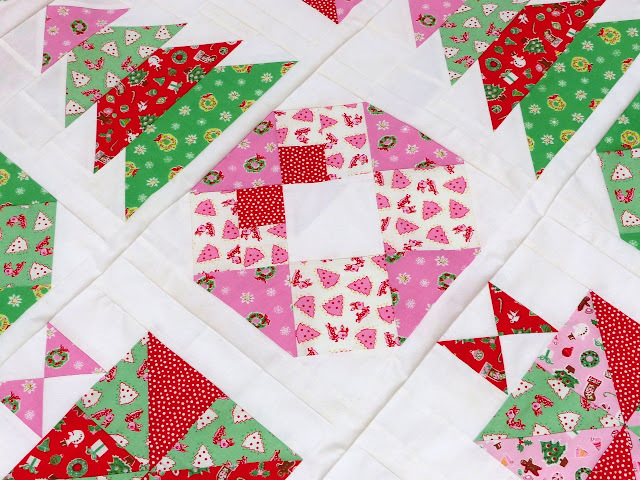 The blocks vary from relatively simple to complex with a fiendish number of pieces to sew together but they are all beautifully presented in a mix of reproduction fabrics and solids. A range of construction methods are offered. 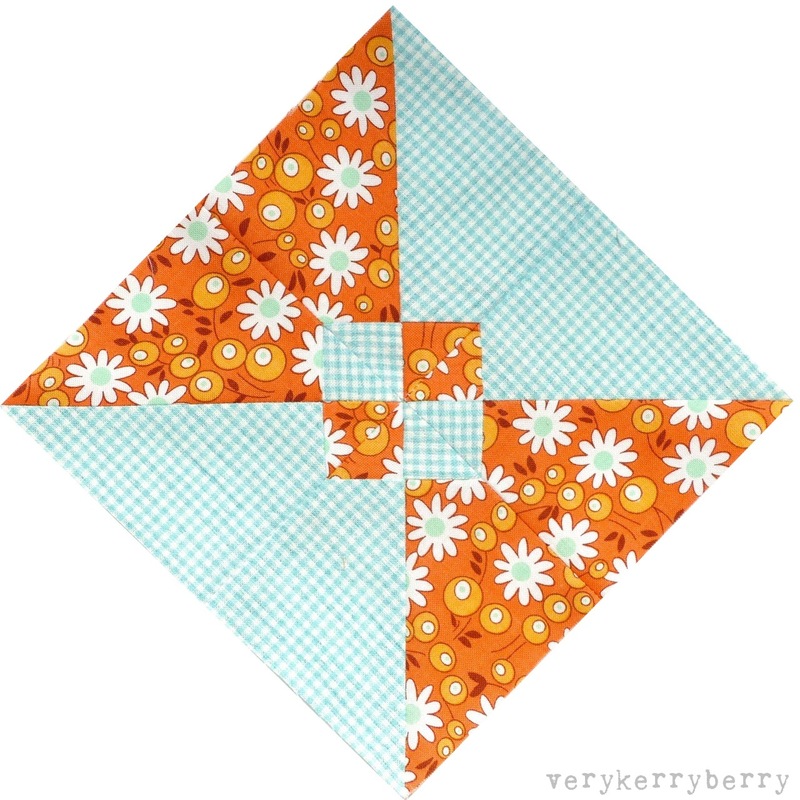 All the blocks have templates and foundation paper piecing options and there are rotary cut options for pieces that can be easily measured. Here's a taster selection of some of my favourites from the book. The presentation is breathtaking. I kept this book in the kitchen for the first few days so that every time I sat at the table I could leaf through it with every cup of tea. 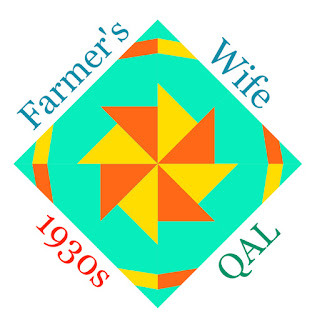 The letters from farm women written during the Great Depression of the 1930s are collated from the original 'The Farmer's Wife' magazine - hugely popular in USA at the time - and considering the immense strain on people's lives at that time, they tone is generally optimistic and highlights the positive aspects of life. Some made me laugh, one in particular from 'Little Irish Annie' recalls how she was born "an ugly duckling" and despite shaking her fists at her 'homely little face' she later learnt that although she was 'short on assets that you can "Cash in on your liabilities"'. There are a lot more letters than the previous book - one for each of the 99 blocks- which makes for a thicker book and some very interesting reading. 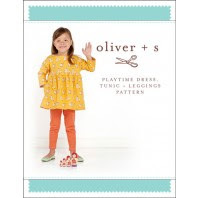 I haven't read Laurie's Pony Club Sampler book but I wonder if this is more like that with it's more complex blocks and extended letter selection? The layout of the book largely follows the previous Farmer's Wife book. 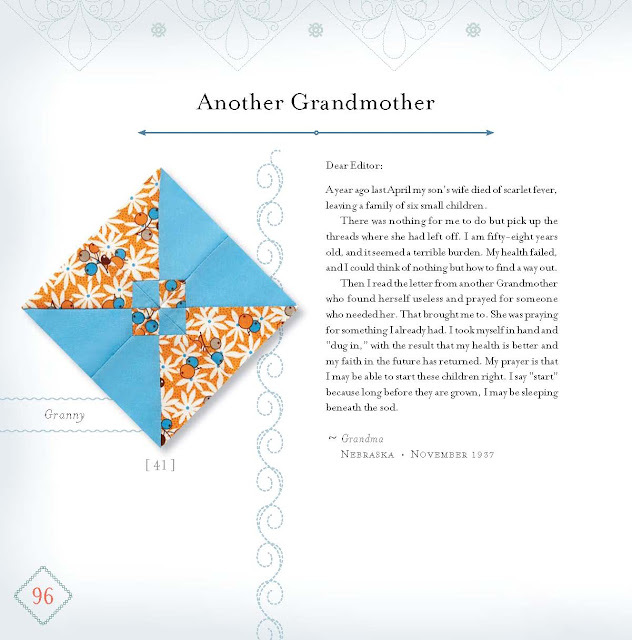 The letter excerpts and the block photos are presented side by side - each block is numbered for the construction pages that follow later and are they are not in numerical order in this section. The photos show the blocks on point. I was very taken with 'Jewel', it's quick to make and it was the first one I sewed up. 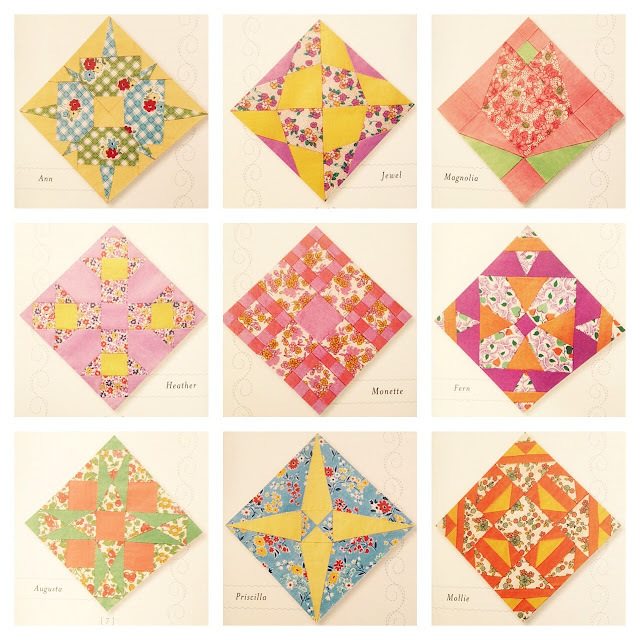 All the blocks I sewed for this post were foundation paper pieced using templates from the book CD. 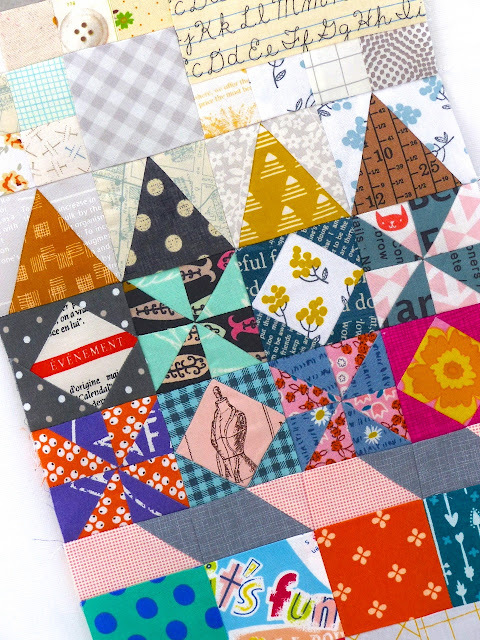 This block is 'Priscilla' and I did simplify it slightly- you can see extra seam lines in the book photo on the yellow triangles at the centre of the block and they were easy to omit. It is a more challenging block than would first appear as it involves Y seams around the centre propellor shape. 'Granny' is a straightforward block and I couldn't resist using a very similar floral to the picture, it's from Lori Holt's Flower Patch range. 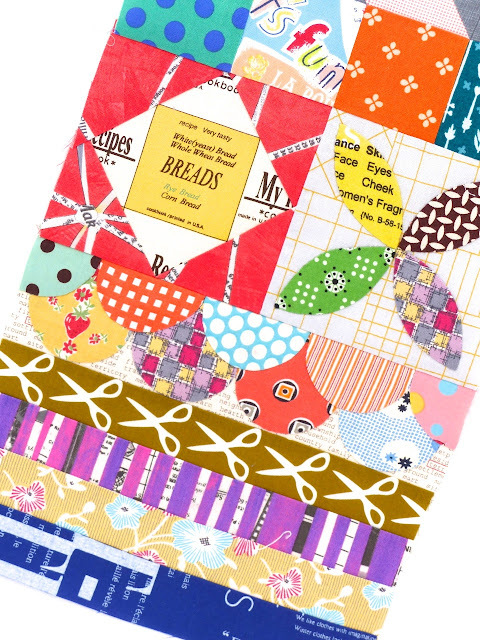 You can find some at Pretty Fabrics and Trims as part of an orange repro style bundle. 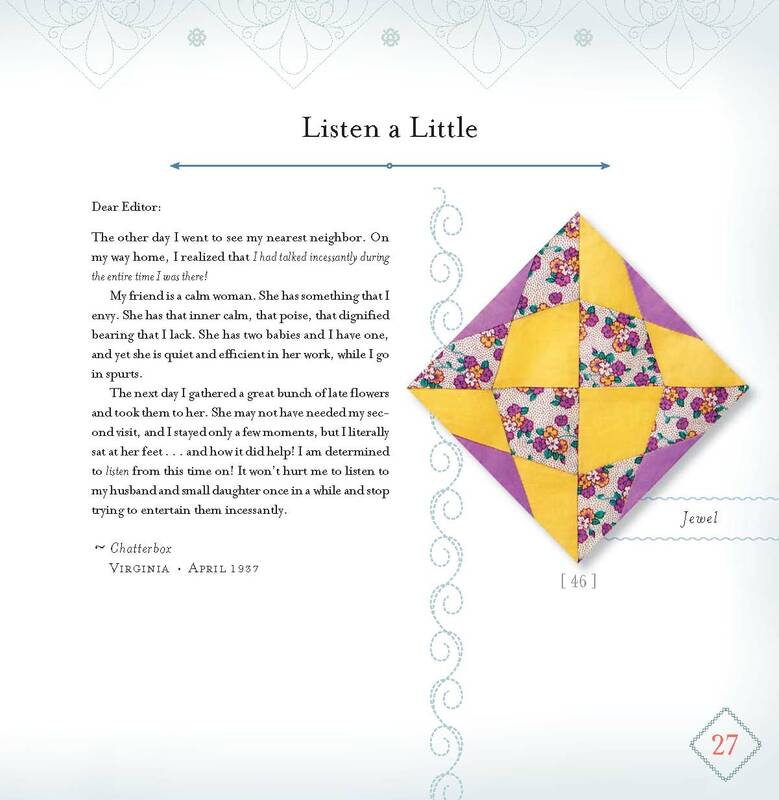 The letter excerpts and quilt block photos are followed by the assembly details with the blocks now arranged in alphabetical and numerical order- this also relates to the CD. In the book you can see the block photos are now shown square on with the construction diagram and template numbers and quantities needed on the left. Final quilt layouts and instructions are at the back of the book with fabric requirements for Lap Size (32 blocks), Twin Size (84 blocks), Queen Size (99 blocks) and King Size (126 blocks including some repeats). The setting triangles for the suggested layouts are based on a two triangle templates but I am hoping I can work out rotary cutting measurements for these- she said optimistically. 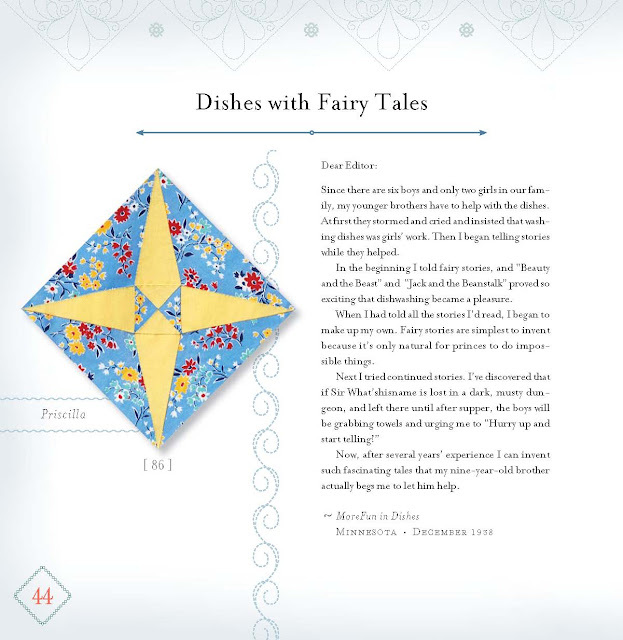 The big difference with The Farmer's Wife 1930s Sampler Quilt as compared to the original book is that all the designs are available as foundation paper pieced pattern on the CD- I believe this was the same for the Pony Club book. All the blocks I printed off took two sheets of paper and I found it easier not to trim the corners off as it can sometimes short-change the seam allowances on the long acute angled pieces (you can see this on my Jewel block). For those who prefer to hand piece, you can find all the templates on the CD as with the original. Laurie Aaron Hird hand pieced all the blocks in the book and it is certainly a method to be recommended for dealing with the more complex blocks with many pieces although it does require patience and a long term outlook onwards completion! I was totally enchanted with this book. 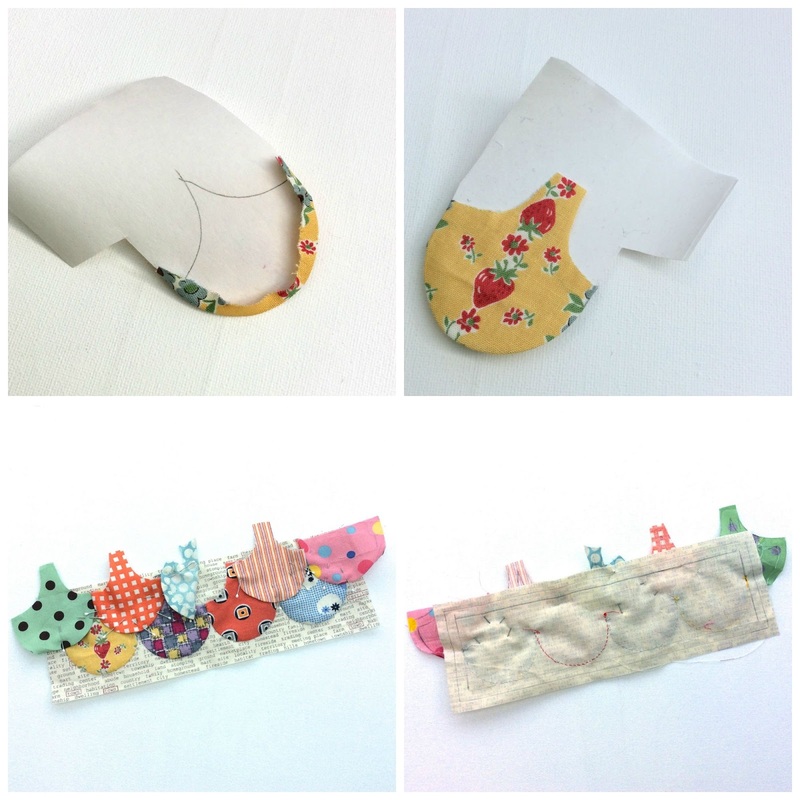 You can see all my torn up envelope bookmarks in it below! Having enjoyed the My Small World Quilt-Along so much I thought this could be the perfect project to move on to when that completes. 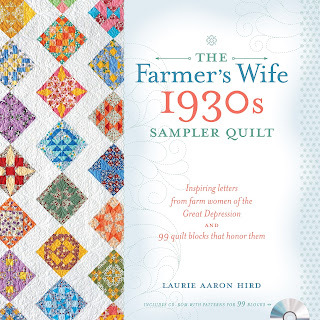 I got in touch with Laurie to check that she was happy with that and she graciously gave me her blessing so I will be starting a Farmer's Wife 1930s Quilt-Along #fw1930sqal beginning mid September which gives you time to buy a copy and start planning your fabrics! I have a lot of floral prints in my stash and I deliberately stayed away from them for #mysmallworldqal but for this quilt I am going to indulge my love of a pretty print to the max! 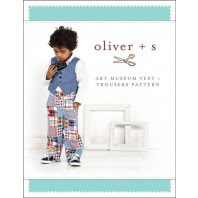 I found a great selection at Pretty Fabrics and Trims which was a new-to-me shop and you can see my first order below. Sarah was so helpful and I love the selection bundles she and her mother put together Sarah selects and Penny Picks and I am very happy to have them as blog sponsors, particularly for this project. Copies are available at the usual online sources depending on where you live. Book Depository sells worldwide. I also recommend checking out Laurie Aaron Hird's blog where she writes in more details about the original The Farmer's Wife magazine. 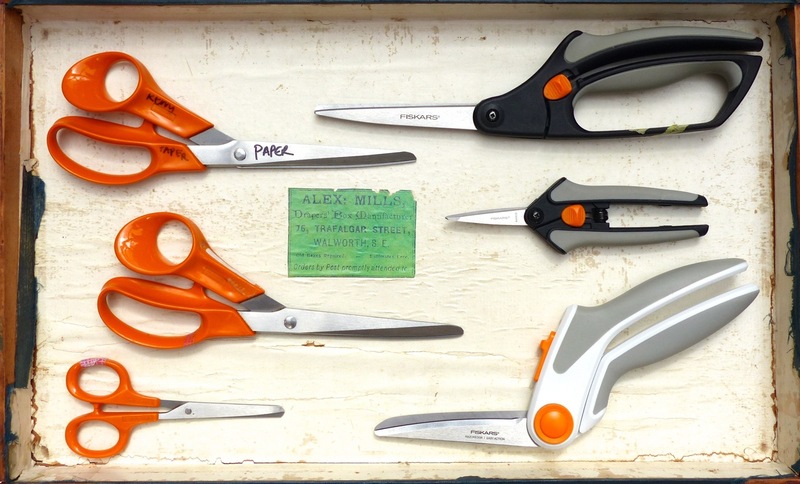 I can never have enough pairs of scissors and there have been more Fiskars scissors in my life than any other. Ever since I can remember, there has been an orange handle pair of Fiskars scissors in my house, although I remember them as Wilkinson's Sword, it's a bit like Marathon and Snickers. My mum always had one 'good' pair so I learnt from an early age that they were NOT for cutting paper! I remember being impressed by the ergonomically shaped handles- unusual for scissors in the 1970s although they were a nightmare for my left-handed father. They were what I used from my early dressmaking attempts in my teens and onwards into my twenties and I still own several pairs. 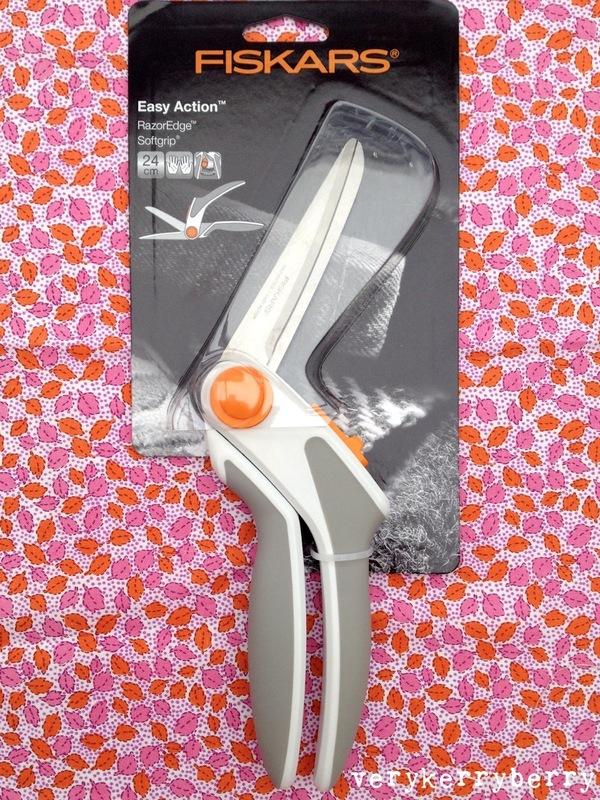 Fiskars have recently added a new spring action Softouch scissor to their range that are specifically designed for cutting fabric on a flat surface and I was lucky enough to receive a pair to try out. I collected all my Fiskars scissors together as a comparison exercise, from the oldest orange handled pair now consigned to paper, to the other general purpose pair which still have a 'Miss Green' label from my primary teaching days- there are never a decent pair of scissors to be found in a primary school! Then there are some little orange handle scissors that I picked up at a car boot sale for £1 and even though they get used for paper, they are still sharp enough to cut fabric. Another point of difference is the width of opening on the blade- I am assuming, the larger opening on the newer scissors means you can make a longer cut in each movement. So, I put them to the test. 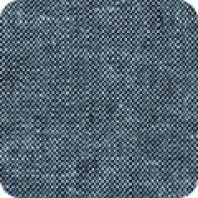 Usually I lay my fabric out on the floor on a foldable gridded board- similar to this one. I then place my pattern on top, finalise the arrangement, rough cut each piece and then cut precisely on a higher surface using a rotary cutter for straight lines and gradual curves, spring action scissors for tight spaces like neck lines or armholes and micro tips to make tiny cuts for the notches. For this test, I cut out a pair of trousers staying on the floor. I cut through the pattern tissue as well as the fabric as I never find that has affected any of my Fiskars in the past! You can also see that I on't use many pins- I find they distort the pattern pieces so I go for the minimum. They are very accurate to cut with. The lower blade slides under the fabric and stays in place as you cut; the upper blade is performing most of the action. You can see how I was steering them to follow the line and how well each cut followed it right to the end of the cut. I also tried for trimming seams- this usually involves me holding something in my hands and trimming back a seam allowance in half. I I will probably stick to my usual spring scissors for this, I think the Razoredge blades are more suited to being rested on a surface to cut. They were perfect for a job like cutting out trousers where each piece large and my cutting surface is on the floor and they a great addition to my Fiskars collection. Thankyou for Sarah at Fiskars to sending me a pair to test, very much appreciated! 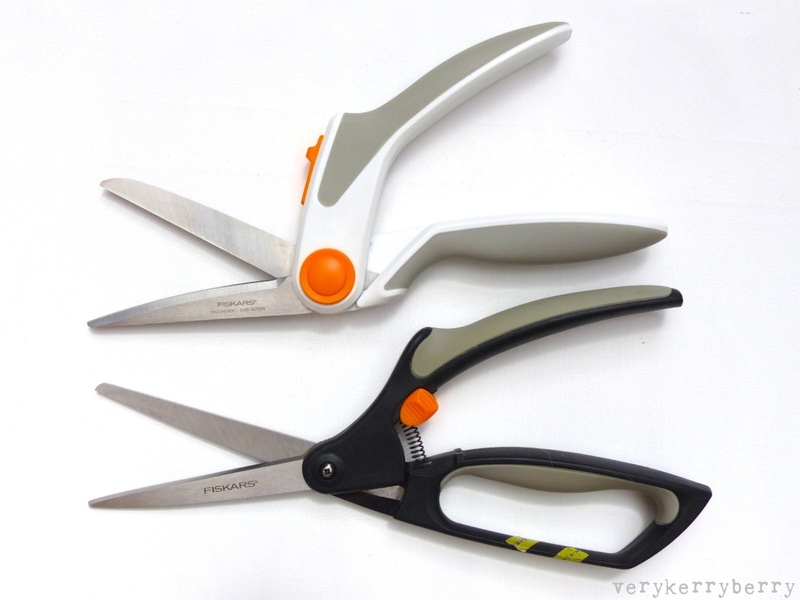 Fiskars scissors are on sale in many outlets. Prices vary so it is worth shop around- I found these online but there are many more. What are your favourite fabric scissors? 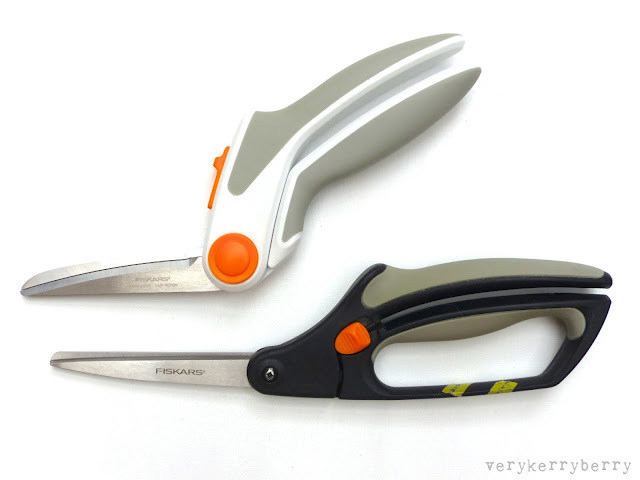 I have others in my collection including Ginghers but Fiskars are my most used. 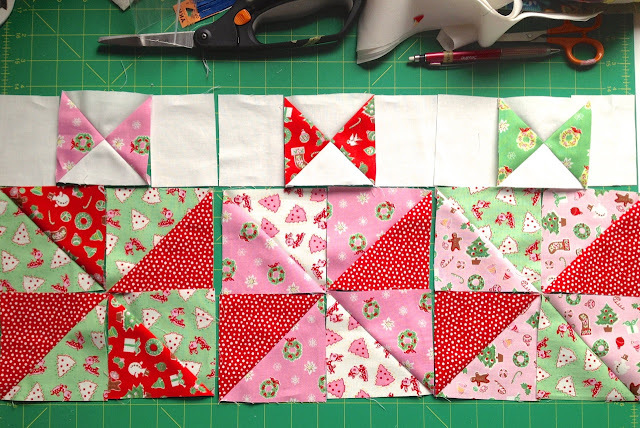 It's time for the third and final set of blocks for the Fat Quarter Shop Little Joys quilt along, the 'Present' or 'Season of Giving' block. I played around with the colour combos to produce three different blocks. You can find the free pattern schedule and links to the kit here. For all the blocks in the quilt along, I cut all the fabric and arrange and piece in an assembly line style. This also allows for auditions like the different colour 'ribbons' quarter square triangle 'Hour Glass' blocks. Talking of the ribbons, a little voice in my head did contemplate lots of ribbons as a border around the quilt- not sure if I'm going to pursue that but there's fabric left over from the Fat Quarter Shop kit that could easily be used for that purpose! See you next Wednesday for a finished quilt top. I've already tried the layout on the floor and it all looks very cute and colourful together. 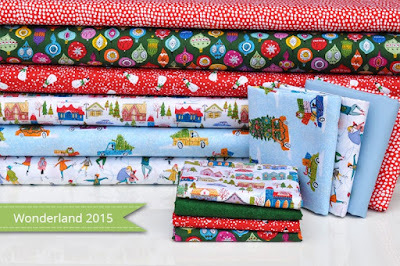 For UK or Europe quilters are looking to buy the Penny Rose 'Little Joys' fabrics designed by Elea Lutz closer to home for lower shipping costs or want to avoid import charges, you can find them at Pretty Fabrics and Trims. July at Eternal Maker: Sale time! Essex linens are another basic favourite and the sold colour and yarn dyed versions are all in the sale. I'm a fan of Bleach White and Orange- a soft coral orange shade. 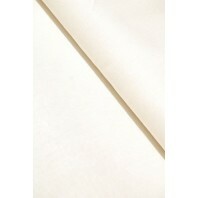 All Essex linen is available in ¼ metre cuts. The Essex yarn dyed linens have a nice drape and can be used for clothing as well as bags, cushions, quilts etc. That's Nautical on the left and Graphite on the right and there are other lighter colours available too. You can see the Nautical in use in this wonderful Stitch Rope Beach Bag project. 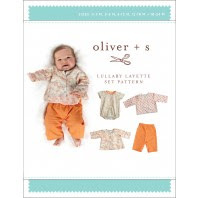 Oliver+S patterns are part of the sale- click on the images to go to each pattern listing. This beautiful Anchor double gauze by Kokka that I featured last month is in the sale, £3.20/1/4m is a great price for double gauze! 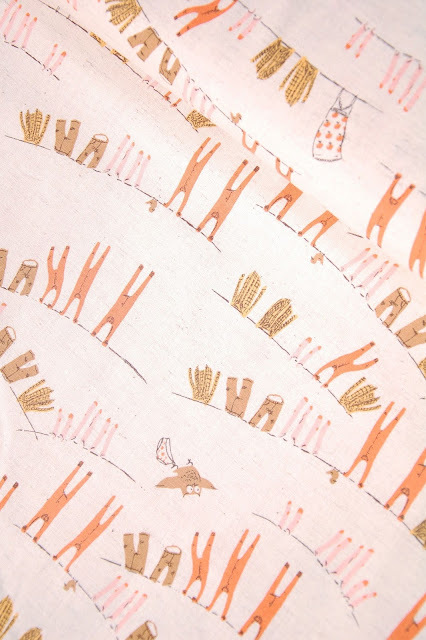 I still have a little piece of this charming Heather Ross Clothes line print from Far Far Away III and on a lovely light cotton/linen blend. There are a few of her Nursery Versery prints available too. 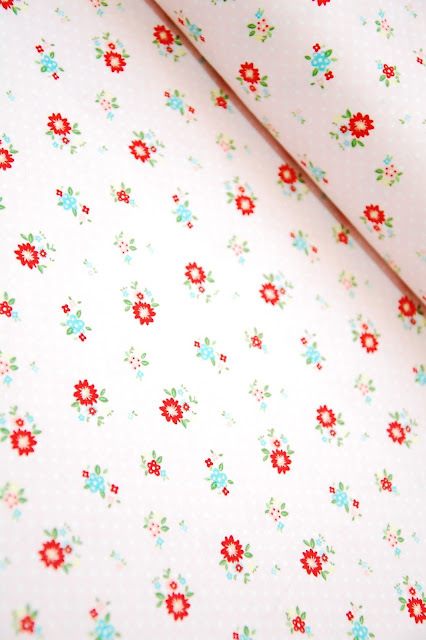 This pretty floral from Tasha Noel's first fabric line, The Simple Life for Riley Blake is very pretty with its pale pink polka dot background. Also available in aqua and a few other prints from the same line like 'Doodles' in red and aqua and this red gingham are all in the sale. 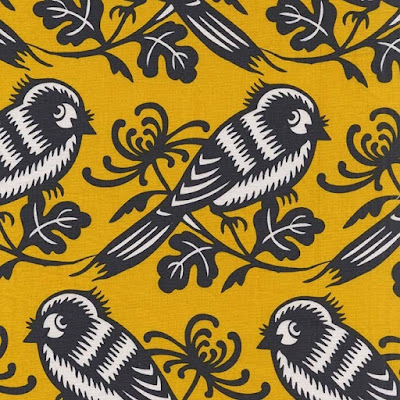 Alexander Henry fabrics do a retro print so well. 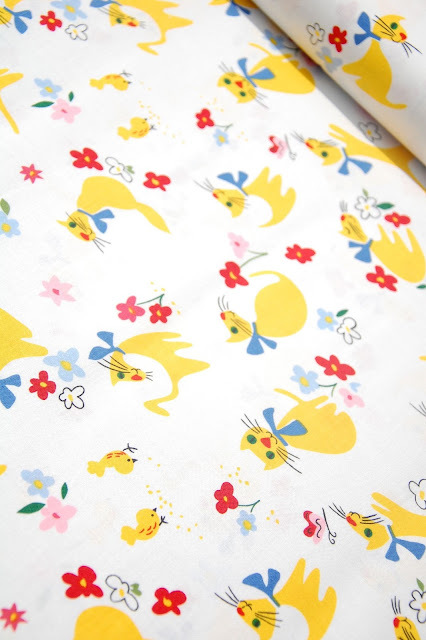 This Paris Paws kitty fabric is only £2.40/FQ until the end of July. 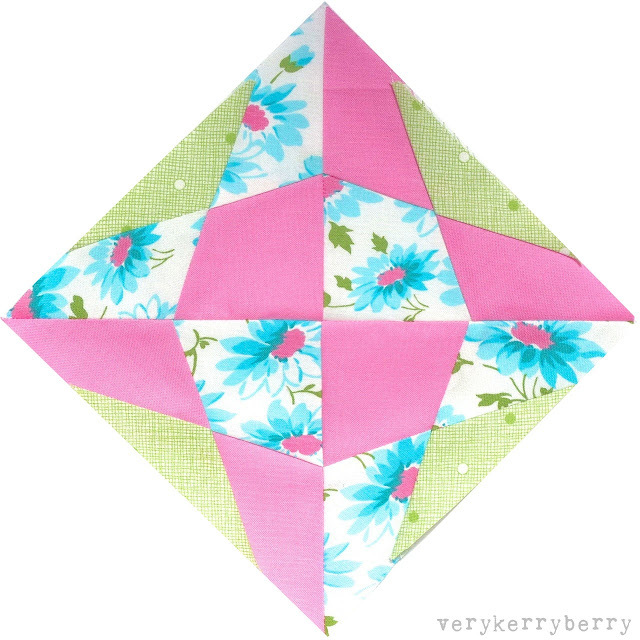 I couldn't resist this blast from the recent past: A Sherbert Pips quilt kit! 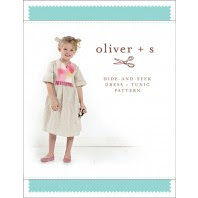 Includes all the fabrics need to make the top only with classic early Aneela Hoey designs. For those of you who like to use felt- I love it for Christmas decorations, Woolfelt is included in the sale. 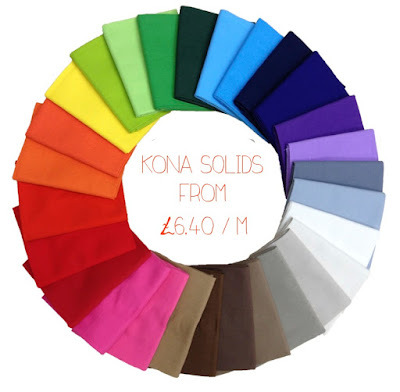 The minimum cut is just 10cm so this is a great time to get all the extra colours you need at the discount price. From the colour names, these look like National Non Woven felts to me, as used in Alicia Paulson ornament and softie patterns and they are fantastic quality. I hope you enjoyed my sale selection. All prices are already discounted so no codes needed, enjoy! August Issue of Sewing World: on sale now.